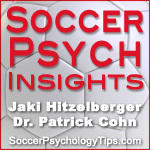 Welcome to episode 11 of Soccer Psychology Insights, your mental training podcast. On this episode, Jaki Hitzelberger, MA and Dr. Patrick Cohn give you tips on how to get mentally prepared and focused before soccer games. 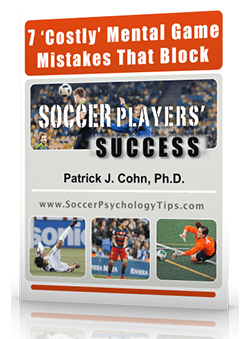 Focus in soccer is one of the most important mental strategies. Soccer players who prepare physically but are not focused mentally, do not perform up to their ability. Jaki Hitzelberger and Dr. Cohn discuss the top distractions that interfere with focus in soccer. Most soccer players know how to psychically prepare for soccer games, but lack the mental skills to feel prepared mentally. Having a routine that will help you get focused is just as important as running and stretching before soccer games. Elite soccer players prepare their minds and bodies equally before soccer games. 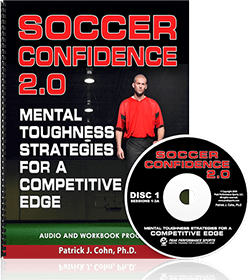 They know that mental toughness is a big predictor of success in soccer. Listen to our soccer psychology podcast using the player below to learn more about how to get focused before soccer games.